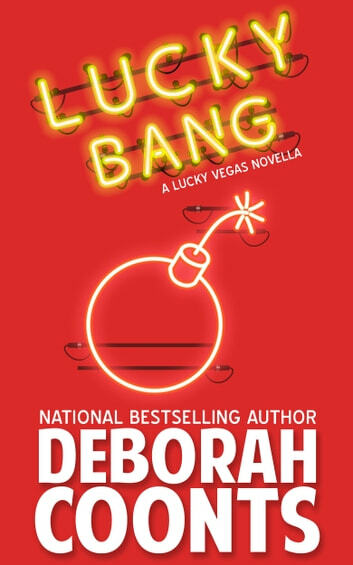 Having a blast on the 4th of July in Vegas takes on a whole new meaning for Lucky O'Toole, head of customer relations for the Babylon, a major Strip property, when she discovers a bomb in a friend's restaurant and narrowly escapes becoming part of the "explosive entertainment." And this wasn't the first time. Years ago, when Lucky was small, she'd had another narrow escape. Could the two be related? Missing dynamite, an old grudge, whispers from the past, force Lucky to delve into dark secrets best left alone. And when her father disappears, things become personal. Lucky packs a lot of bang in her life! My intro to the LUCKY series was LUCKY IN LOVE & LUCKY BANG. Fantastic! Love this character & her tales. The over-the-top characters of old Vegas were a fantastic addition to the plot. I love a good mafia villain or victim!